Fresh on the heels of the AM15, we’re extending our outreach efforts even further by uploading videos and papers to our website and library, welcoming fresh ideas from ACUNS’ new Chair, and preparing for the ACUNS/ASIL Workshop. It is mid-July as I write this, at a time in previous years when we would be in the midst of the Summer Workshop. This year, however, the 2015 ACUNS/ASIL Workshop will take place in late October in Oslo, hosted by the Norwegian Institute of International Affairs (and next year, in September hosted at O.P. Jindal Global University, India). As a result, we are enjoying a quiet summer at the secretariat office after the conclusion of the Annual Meeting, which gives us the opportunity to plan ahead, as well as catch up on writing. As ACUNS members will know, we have a new Chair starting her three-year term: Professor Lorraine Elliott, of Australian National University, took over the role from Dr. Abiodun Williams, who will continue to serve on the Board for two more years as Past Chair. While we will continue to provide the core programming that we already have on our annual agenda, Lorraine brings different interests and new ideas, and we will ‘roll out’ some of these over the next three to six months. The secretariat also will be busy with outreach efforts as we focus attention on the Call for a new host institution/secretariat for 2018-23. We do have several inquiries and discussions in early stages now, and hope to have more – you can find the Call on the website homepage, and at http://acuns.org/host2018/ Looking back to the AM15, the consensus was that we had a very successful event with high-quality speakers in all of the keynote and plenary roles. The texts of the opening keynote delivered by ICC Prosecutor Fatou Bensouda, and the John W. Holmes Memorial Lecture given by Abiodun Williams, are available on our website. Video of these and the plenaries will also be uploaded, shortly. We have received a number of papers and presentations from workshop presenters, and will be pleased to receive any more to upload to our AM15 library. Sending us your paper remains a great way to highlight and share your ideas, and perhaps also to receive additional feedback from members and others who were not able to attend the AM15. As a result of low attendance at several of the Saturday morning workshop panels, we’ve taken into consideration your feedback and have decided that moving forward for the AM16 timing adjustments will be made, and perhaps some different approaches (contingent upon available funding). We will also be taking a more active approach to encouraging attendees to come out to the workshops and support colleagues. For those of us who may have sat on panels at conferences before where little or no audience has been present, and can relate to the disappointment after having spent time and energy in preparing presentations, we intend to encourage a more robust and dynamic audience. Issue 3 of our Newsletter features articles by John Karlsrud of NUPI, Leila Nicholas of Lebanese University in Beirut, and Lee Gordenker, one of ACUNS’ founders and Professor Emeritus of Princeton University. John continues our series looking at the UN’s review of its peacekeeping and peacebuilding operations and architecture; Leila provides a critical take on the concept of ‘vetting’ in transitional societies, with a focus on lessons from the MENA region(s); and Lee provides a fascinating personal reflection on his experiences as a reporter dealing with the foundation of the United Nations and the choice of the UN Secretariat headquarters in 1945. Last but not least – and on the theme of ACUNS’ founders and early members – I had the pleasure and privilege last month of traveling to the Universidad del Mar Huatulco, in Oaxaca State, Mexico, to speak at one of their series of events marking the 70th anniversary of the United Nations. My host there was Rector Dr. Modesto Seara Vazquez, who (like Lee Gordenker) has been associated with ACUNS since its earliest years. I very much enjoyed visiting the beautiful campus, speaking with the excellent faculty and staff – thanks especially to Dr. Alberto Lozano, and to Ms. Maria Fernanda Medina Beltran – and engaging in discussions with the students, as well as the other presenters from the United Nations and from Al Jazeera. It was a wonderful event, and an opportunity to re-connect with some of Mexico’s talented scholars of the UN, international affairs and global governance. A record number of 59.5 million people were forcibly displaced in 2014. The UNHCR global trends report for 2014 was tellingly titled “The World at War” and paints a bleak picture with a four-fold increase of people forced to leave their homes due to conflict during the last four years. While the number of conflicts had been steadily declining for more than a decade, the last few years have witnessed a wave of new conflicts, and old ones have rekindled. South Sudan, the last member of the UN, has been plunged into chaos and the peacekeeping mission UNMISS is struggling to protect those sheltering within their own camps, with little ability to reach the hundreds of thousands of civilians in danger outside, in a civil war that has only increased in brutality and abuse during the last few months. a political strategy should guide a more flexible approach to the un toolbox for dealing with conflicts, instead of a “binary choice” between special political missions and peacekeeping operations. on the ground, the UN is raising walls to protect themselves from ‘asymmetric threats’ and driving white SUVs – continuing to distance itself from the people they serve. Fro m crossfires to cro sshairs At UN Headquarters staff half-jokingly say that the organization has moved from being in crossfires to crosshairs, attacked no longer for where they are, but who they are. The increasing attacks on UN peacekeepers in Darfur, the Democratic Republic of Congo and Mali testify to this impression. Concurrently, the UN is accused of not doing enough to protect civilians in the Central African Republic (CAR), DRC and South Sudan. The Secretary-General has thus received much support for his appointment in November 2014 of a high level independent panel to review UN peacekeeping. their experience from Afghanistan. During the last year they have arranged a summit on peacekeeping during the UN General Assembly in 2014, chaired by Vice President Biden and four regional meetings in Europe, Asia, Africa and South America. This will culminate with a peacekeeping summit on 28 September 2015 during this year’s General Assembly, to be chaired by President Obama. The US also emphasize the political dimension, but at a different level. They want to see a new political compact between member states to reinvigorate financial support, but most importantly also greater troop and more advance capability support to UN peacekeeping. At the stroke of a pen in May 2003, more than 400,000 conscripts, officials, officers and others were dismissed. Two million Iraqi citizens suddenly started a new life of poverty and desperation. that what destroyed Iraq after Saddam Hussein was not the trials of Saddam Hussein and other Baathist officials, but instead, the vetting process or the procedures of de-Baathification following the US-led military victory. Reports from Iraq reveal that the vetting process was counterproductive and biased, and was directly involved in fueling terrorism – mainly what we now know as ISIS – through the intensification of hatred, fanaticism and sectarian divisions. Transitional justice in general was seen as victor’s justice, hence reviving the bloody Sunni-Shiite conflict in the region. The process of de-Baathification targeted Iraqi military and civil servants for their membership in, or their affiliation with, the Baathist regime, rather than for their responsibility for the violation of human rights or their record in crimes against Shiite and Kurdish groups or even in corruption. The process led to the dismissal of hundreds of thousands of individuals based on their membership in the Baath party. It undermined very badly the Iraqi State governing apparatus and security structures, and fueled a sense of bitterness, grievance and anger among the dismissed employees and their families. The widespread feeling of injustice, caused by loss of personal and family income, and general ecomonic collapse, in turn fueled sectarian rage and led to the destruction of Iraq. Vetting: An Operational Handbook (United Nations 2006). [ii] United Nations. 2006. Rule of Law Tools for Post-Conflict States: Vetting: An Operational Framework. Office of the UN High Commission on Human Rights. New York, United Nations HR/PUB/06/5. Mayer-Rieckh, A. and de Greiff, P., eds. 2007. Justice as Prevention: Vetting Public Employees in Transitional Societies. New York: ICTJ and Social Science Research Council. than a million, not counting the military. At the stroke of a pen in May 2003, more than 400,000 conscripts, officials, officers, and others were dismissed. Supposing that each employer has five dependant family members – which is very natural in MENA – this means that around two million Iraqi citizens suddenly started a new life of poverty and desperation. Despite signs of the impending social catastrophe, the de-Baathification process accelerated strongly at the end of 2003 and into the first months of 2004. Hundreds of thousands of state employers had been dismissed, but few had received pension payments or had their appeals heard. The Iraqi Ministry of Education, for example, had 18,064 senior party members as professors, teachers and staff. Due to the vetting process, 16,149 of these employees were dismissed by June 2004 and an additional 1,355 were removed over the next 16 months. Only 400 employers were not subject to vetting because they were very low ranking baathists. A bitter sense of injustice led the secular ex-Baathists to adopt radical Islamic ideologies, and initiate the “Naqshbandi Army” which was formed from former Baathist officials and retired military generals, led by Saddam Hussein’s former assistant Izzat Ibrahim al-Douri. The Naqshbandi Army has helped ISIS to win most of its important victories in Iraq – mainly the capture of Mosul – and gave the terrorist movement a wide local support in Iraq. Mayer-Rieckh, A. 2007. ‘On Preventing Abuse: Vetting and Other Transitional Reforms,’ in A. Mayer-Rieckh and P. de Greiff, eds. Justice as Prevention. New York: ICTJ and Social Science Research Council: 482-521. S i g n u p f o r o u r e > u p da t e b y b e c o m i n g a m e m b e r ! Reports from Iraq reveal that the vetting process was counterproductive and biased and was directly involved in fuelling terrorism ...through the intensification of hatred, fanaticism and sectarian divisions. Consequently, the transitional experience in Iraq shows that there is no strong and clear positive link between transitional justice and democratization. TJ policies as undertaken by the provisional administration instead turned post-Saddam Iraq into a failed state which – until now – couldn’t reach democracy, and instead has been embroiled in worsening crises. The notion of Vetting in transitional societies needs more systematic analysis and fact-based conclusions rather than faith-based claims. If any important lessons can be drawn from the Iraqi experience of Vetting to the Syrian or the other Arab Spring states, the four key lessons would be: lesson 1 Exactly the same in both Syria and Iraq; membership in the Baath party was the standard requirement for state employment, for all individuals. Therefore, the first and most important lesson for Syria: Don’t purge or lustrate! lesson 2 Any Vetting process should be by far the most minimal, and should be applied only on security apparatus and high-ranking officials based on clear evidence of their direct record of engagement in and responsibility for human rights abuses. lesson 3 International organizations and donors should NEVER encourage a blanket policy of Vetting. Lustration, purge, vetting ... whatever you name it, is a normal abuse behavior in MENA region. It is a part of the ordinary practices of clientelism and exercising power. Some examples: In Egypt after Mubarak: One of the main reasons that overthrew Morsi was the vetting process, or what the Egyptians call “Brotherizing the State”... In less than 8 months, Muslim Brotherhood (MB) rule removed 13,000 state employees (naming them foulol – which means the “remains”, in English) and substituted them by MBs. *	Leila Nicolas serves as both a scholar and practitioner. She is Professor of International Affairs in the Lebanese University in Beirut. Her research and teaching interests include the UN system, R2p, transitional justice, peacebuilding, international criminal tribunals, and MENA politics. International Responses to Mass Atrocities in Africa: Responsibility to Protect, Prosecute, and Palliate Since the end of World War II and the founding of the United Nations, genocide, crimes against humanity and other war crimes—mass atrocities— have been explicitly illegal. When such crimes are committed, the international community has an obligation to respond: the human rights of the victims outweigh the sovereignty claims of states that engage in or allow such human rights violations. This obligation has come to be known as the responsibility to protect. Yet, parallel to this responsibility, two other related responsibilities have developed: to prosecute those responsible for the crimes, and to provide humanitarian relief to the victims—what the author calls the responsibility to palliate. Even though this rhetoric of protecting those in need is well used by the international community, its application in practice has been erratic at best. Lesson 4 Don’t mistake Vetting as a tool to eradicate corruption. Fighting corruption should be done through implementing Rule of Law in the “responsibility to rebuild,” but not through transitional justice Vetting processes. The Human Right to Citizenship provides an accessible overview of citizenship regimes around the globe, focusing on empirical cases of denied or weakened legal rights. Exploring the legal and social implications of specific national contexts, contributors examine the status of labor migrants in the United States and Canada, the changing definition of citizenship in Nigeria, Germany, India, and Brazil, and the rights of ethnic groups including Palestinians, Rohingya refugees in Bangladesh, Bangladeshi migrants to India, and Roma in Europe. Other chapters consider children’s rights to citizenship, multiple citizenships, and unwanted citizenships. With a broad geographical scope, this volume provides a wide-ranging theoretical and legal framework to understand the particular ambiguities, paradoxes, and evolutions of citizenship regimes in the twenty-first century. In Lebanon: Vetting is a normal process practiced in every rotation of power. Every new minister dismisses those employees who were appointed by the previous minister, or at least, changes their status and marginalizes them in the administration ranking. In International Responses to Mass Atrocities in Africa, Kurt Mills develops a typology of responses to mass atrocities, investigates the limitations of these responses, and calls for such responses to be implemented in a more timely and thoughtful manner. Mills considers four cases of international responses to mass atrocities—in Rwanda, the Democratic Republic of the Congo, Uganda, and Darfur—putting the cases into historical context and analyzing them according to the typology, showing how the responses interact. Although all are intended to address human suffering, they are very different types of actions and accomplish different things, over different timescales, on different orders of magnitude, and by very different types of actors. But the critical question is whether they accomplish their objectives in a mutually supportive way—and what the trade-offs in using one or more of these responses may be. By expanding the understanding of international responsibilities, Mills provides critical analysis of the possibilities for the international community to respond to humanitarian crises. The flood of international anniversaries this year stirred my memories connected with the siting of the United Nations Headquarters in New York. The summer of 1945 was a time of excitement, discovery and unremitting pressure. It began my association with the UN system and global governance. the press provided a preview of present day media frenzy. that news mattered to a variety of publics who wanted it quickly and accurately. post-national message” and J. Simon Rofe, “Prewar and wartime postwar planning: antecedents to the UN moment in San Francisco, 1945” in Dan Plesch and Thomas G. Weiss, Wartime Origins and the Future United Nations (London and New York, Routledge: 2015). peacekeeping pivot? exploring a more flexible approach to dealing with conflicts Continued from page 4 > This returns us to the political nature of UN peacekeeping. The panel urges for compacts being agreed between the Security Council and the host state at the outset of the missions, to make sure that there is real scope for change - to come to new settlements and new life opportunities for people living their everyday lives on the ground. The question is whether member states would support such a development. present, and reporting, at the creation of the uN Continued from page 8 > of the United States. That led to the now well-known decision to accept an offer of support from the Rockefeller family to finance the present site on Turtle Bay in New York. Trygve Lie was elected Secretary-General. I watched him and his then personal assistant, Brian Urquhart, descend from a plane from London. Most UNIO personnel accepted positions in the new UN Department of Public Information. The Security Council met in a nondescript hotel in Manhattan. The General Assembly would open that autumn in a building left over from the 1939-40 World’s Fair. The growing functions of other UN councils as well as the Secretariat required more offices. I abandoned my desk in Manhattan for another at the bottom (now dry) of a swimming pool in a college gymnasium in the Bronx. Increasingly my work comprised of reporting meetings, writing press releases and helping to organize the process. The results served a populous press corps that since has nearly vanished. After another few months we moved again, this time to half of a bomb sight factory at Lake Success on Long Island. My connection with headquarters issues quickly declined as the architects overcame a controversial beginning and then the builders hurriedly constructed the buildings in Manhattan. Looking back, I understand that those busy months of organizational creation had mostly to do with hasty operations that usually were a mirror image of processing daily news. Yet the intellectual effects on me were telling. Studying the UN Charter introduced me to concepts of global policy. The aspirations that were set out in the elegant language of the Preamble and the broad, if somewhat more guarded, first chapter, were beacons of hope and political wisdom. Then I first encountered international public law and observed how it served as a common language for diplomats. My grasp of the history of international politics had only inadequate support in the news that I had been editing. Only later did I learn how much the League of Nations served as a model for the UN; the concept of an International Civil Service is one example. An appetite for study was stimulated by my operational engagement. It offered me a glimpse of how a committed, disciplined staff could help sustain the new institutions. It showed me that cultural differences need not prevent collaboration and friendships. It demonstrated how member governments meddle and disregard their pledge “not to seek to influence” staff members and the Secretary-General in their duties. It illustrated how domestic politics could condition international cooperation. It underlay my decision in 1953 to leave the Secretariat and earn a PhD at Columbia University. Professors who took part in the creation of the UN System taught me scholarly perspectives. The memory of UNIO days faded in the light of other learning and research. Yet as a personal experience, it tinted the next decades. *	Leon Gordenker, Professor Emeritus of Politics at Princeton University, helped plan ACUNS and get the fledging organization started in 1996. It linked to his deep interest in global international cooperation, partly based on his own experience even before the San Francisco Conference with what became the UN System. He was a member of the UN Secretariat from 1946 to 1952 after which he pursued an academic career. Enjoy a good book? 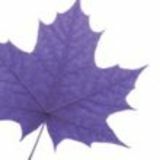 interested writing a review? 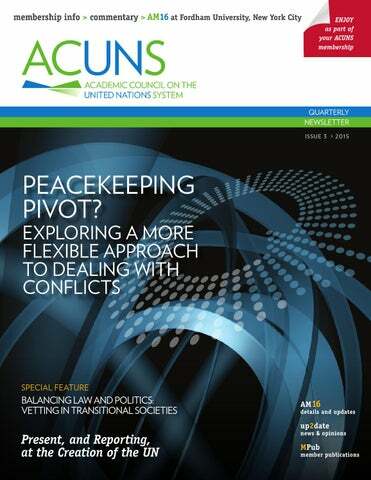 In autumn 2012 ACUNS launched a project publishing online, peer-reviewed, book reviews on books relating to the study of the United Nations, international organization(s) and related topics in global governance. our Book Review Submission Guidelines. Please contact the book review Editor, Gwenith Cross at bookeditor@acuns.org if you would like to review a recent publication that is not listed, or if you have any questions about your submission. New reviews are published fortnightly on our Book Reviews page. Due to the popularity of this project non-members are limited to writing one review per year and ACUNS members are limited to writing two reviews per year. ACUNS members are given priority on all new books. The ACUNS Dissertation Fellowship Award recognizes emerging students of extraordinary potential who have reached the stage of writing an advanced graduate-level dissertation on a topic of direct and demonstrable relevance to the United Nations and/or the UN System. eligibility Eligible candidates may be citizens of any country and must be entering the writing stage of a Ph.D., J.S.D., or LL.M level degree – for example, a doctoral candidate who has defended her/his dissertation proposal and who has completed the majority of field research, and who now is writing a first draft of the dissertation. It is not intended for students who already have completed, or who are about to complete, the writing, or who are about to defend their thesis (NB for students working in a UK-context of doctoral studies, the Award relates to students who are in the beginning of their final year/year three of registration and are in the process of writing up). An important component of the Award for its winner is the recognition of excellence that this entails throughout ACUNS’ global community of scholars and practitioners. The Award also includes a monetary component in the amount of $1,500.00 US. In addition, the winner is encouraged to attend the ACUNS Annual Meeting in that same year, where she/he will be introduced and recognized as the Award winner. In that case, the winner will receive an Annual Meeting registration fee waiver (worth up to $150 of the registration fee) plus an additional award of up to $500 following the Meeting for the reimbursement of related travel and accommodations costs. The Dissertation Award winner is encouraged to consider submitting future written material to ACUNS’ journal, Global Governance. Use of any materials, however, will be at the discretion of the journal editorial team and the normal peer review process. application information Applicants for the award should already be a student member of ACUNS. Information about joining ACUNS can be found at http://acuns.org/join-renew/ For applicants from the Global South whose financial status may preclude them from purchasing a membership, contact admin@acuns.org. The winner will be notified by March 31, 2016. Once the Award has been accepted, ACUNS will notify all other applicants of the final decision, and details of the winning applicant’s project will be posted on the ACUNS website. quarterly newsletter Issue 3 > 2015 Academic Council on the United Nations System (ACUNS) Quarterly Newsletter is published four times a year with the support of the Department of Communications, Public Affairs & Marketing (CPAM) at Wilfrid Laurier University. We welcome and encourage your feedback. Opinions expressed in ACUNS Quarterly Newsletter do not necessarily reflect those of the editor, ACUNS or the host institution. © ACUNS 2015. All rights reserved. ACUNS memberships are based on the January to December calendar year. If you join mid-year, you will receive back issues of Global Governance and the ACUNS quarterly newsletter. If you have any questions regarding joining mid-year, please contact the Secretariat at admin@acuns.org. Please note that membership fees are in U.S. Funds. *In addition to your own, sponsor a new one-year membership for a person from a developing country. Academic Council on the United Nations System quarterly newsletter.